An evening of music, song, spoken word and performance from Scotland-based artists. 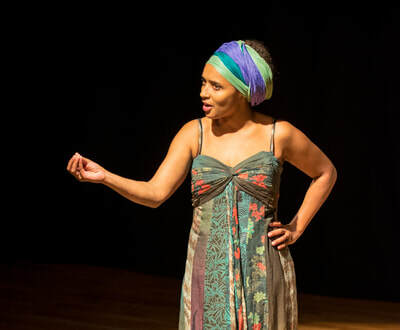 The event, inspired by the words of Audre Lorde ('so it is better to speak') explores the fluidity and complexity of women-identifying and non-binary identities through sound, voice and the body, and emphasises the importance of shared knowledges and experiences that emerge when we speak up and out. The night features: a musical Balancing Act from composer and musician Amble Skuse; traditional Scottish folk with a feminist twist by Burd Ellen; contemporary flute from Diljeet Bhachu; poetic reflections on the body and self from Juana Adcock; storytelling by Mara Menzies; and a queer sermon by performance maker Nelly Kelly. The evening will be hosted by Dee Heddon (University of Glasgow). Performances will be followed by a roundtable discussion about feminist and intersectional approaches to practice, and the challenges and usefulness of feminism in the creative industries. The event is supported by the University of Glasgow School of Culture and Creative Arts. The event features some visual material but is largely reliant on audio (music and voice). A hearing loop is available and the theatre is wheelchair accessible. There will be one 10 minute break scheduled between performances. Amble’s work focuses on identity through an intersectional feminist lense, with specific focus on gender and disabledness. Amble works with Logic, MAX/MSP and Supercollider to create sculptural sounds which augment and support acoustic classical or traditional music performers. She is interested in ways in which the past and the future come together and merge to create the now. Amble works with languages, voices, poetry and sound to relate a sense of location, time and identity through her pieces. Amble is currently commissioned to write a bespoke piece for instruments and technology for the British ParaOrchestra. Charles Hazlewood described her as a “fierce creative spirit [that] could not be more welcome! We couldn't ignore Amble's violinistic brilliance (a true sonic adventurer)”. The work fits well with Amble’s AHRC Scholarship PhD exploring performance, improvisation and composition using body sensors with disabled musicians. Amble’s work has been performed internationally from Slovakia to China, by ensembles such as Mr McFalls Chamber, Red Note Ensemble and Rarescale. In 2012 she undertook the prestigious Adopt a Composer project for Sound and Music and Making Music UK. She was one of five Creative Scotland International Creative Entrepreneurship Fellows for 2013, a BBC Performing Arts Fellow (2013), has gained several large scale grants from Creative Scotland to produce work and was recently awarded a BBC alumni fellowship. Debbie Armour is a Glasgow based musician, working primarily with traditional song from Britain and beyond. Broadly, her work is motivated by ideas of persistence, resonance and deep cultural roots. In her current solo project, Burd Ellen, she uses traditional song to explore women's narratives, as well as the metaphor and symbolism used to ornament their stories. In addition to her performance work, Debbie develops and delivers a variety of community projects. As an associate artist with organisations like The Village Storytelling Centre and Cinemor77 she uses archive material to look at ideas around threads of community and shared cross-cultural heritage. Her ongoing project Wee Linties shows archival film of Scottish street games to stimulate discussion about the way that children use their outside spaces now. Those conversations form part of new archive about children's play and persistent aspects of tradition. In her performance, Debbie will be sharing songs that she is newly working on and talking a little about the some of the decisions she makes when selecting traditional material to interpret. You can follow her on Facebook at facebook.com/burdellen and facebook.com/weelinties. Diljeet Kaur Bhachu is a musician-researcher-activist based in Glasgow. Her research work focusses on access and inequality in music education, with future plans to look at race and gender in the music sector. 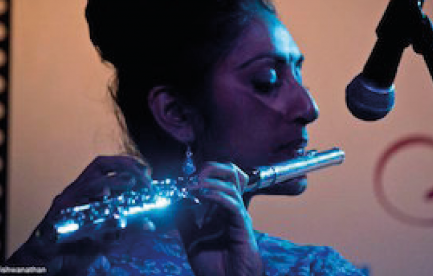 She performs as a flute player regularly around Glasgow and Edinburgh as a solo artist, as well as in taiko-electronics-flute duo Velma, and in local anti-caste activist-musician Kapil Seshasayee’s live band. In 2017 Diljeet co-founded the Scottish-Asian Creative Artists’ Network, a new initiative to raise the visibility of Scottish-Asian artists, and has a particularly has an interest in support Scottish-Asian women in the arts. Expect flutes, loops and experimental sounds from her at GFAF. In my poetry I seek devices to articulate what is unspeakable, exploring unstable self-translations and various strategies of voicing that may offer a reflection on the materiality of a body that cannot be represented. I am interested in the limited, liminal, defigured, disappeared and mutilated body in a patriarchal society, in particular within the context of the so-called War Against Drugs which, has situated Mexico as one of the worst countries in the world for women, with the femicides rates being one of the most obvious indicatives. How to enunciate – and in the process denounce; hopefully also transform, even if only at some microscopic level – the kind of unimaginable cruelty that these bodies are subjected to? And how to use my own body as a tool for knowledge when researching in the archives? Using vipassana meditation and lecto-divino techniques to embody the reading experience and bypass any attempts at a rational understanding of the events, I deploy strategies involving surrealist re-imaginings; the use of horror, fantastic or sci-fi elements; glossolalia; the use of choral voices and the first person plural; and vocal or sonorous misplacements, including code-switching. In addition, I am interested in performance, including musical collaborations and potentially the use of more theatrical elements, as a way to voice these explorations. 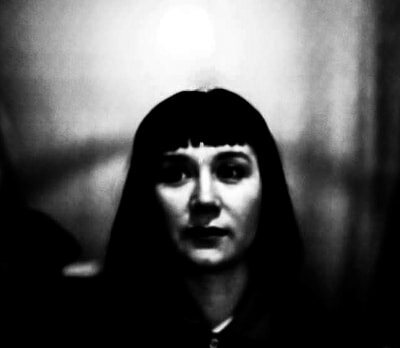 Juana Adcock is a Mexican poet and translator based in Glasgow since 2007. Her translations and poems on language, communication, migration, identity and violence have appeared in numerous publications such as Magma Poetry, Shearsman, Asymptote, the LitHub and Words Without Borders, among others. Her first book, Manca, explores the anatomy of violence in the Mexican drug war and was named by Reforma‘s distinguished critic Sergio González Rodríguez as one of the best poetry books published in 2014. In 2016 she was named one of the ‘Ten New Voices from Europe’ by the organization Literature Across Frontiers. 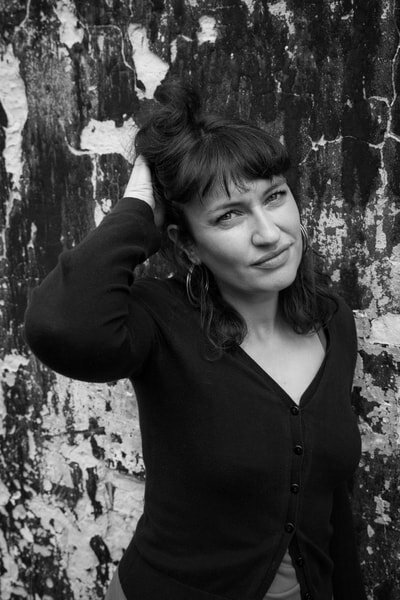 She has recently completed her second poetry collection, due to be published in Spain in 2019, and she has performed at numerous literary festivals internationally. Mara is at the forefront of a new kind of storyteller. One who takes the ancient form of storytelling and makes it relevant for an 21st century audience. Storytelling makes the impossible come alive, it is a unique bond between listener and teller, a transformative, healing, inspirational process. Through narratives from her dual Kenyan/Scottish heritage, she is able to explore themes of identity, immigration, femininity, motherhood, relationships, injustice and others that speak to her. She collaborates with other artists to create challenging, thought provoking, entertaining works and tours her shows internationally. Links to some of her work can be found here: https://vimeo.com/user90605675 and you can find out more about her at www.maramenzies.co.uk. 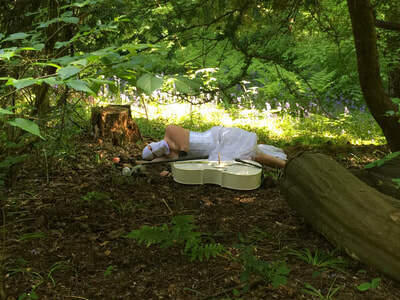 Nelly Kelly will be performing their work Sacramental/Commune, which invites participants to challenge the censorial impact of religious construction on the formative development of our collective sub-conscious. This work invites participants to enter into and engage with the act of communion within a queer sermon formed and guided by the rituals of the catholic mass. This piece examines the historical role of the guest/host through a queer lens. Through the ritual of the Eucharist, the giving and receiving of the catholic host (sacramental bread), this piece aims to bring to judgement the deeply rooted dogma fertilised by the long history of societal religious practices and the impact this dogma has had on how we perceive ourselves, others and the world we live in. Nelly Kelly is a genderqueer playwright, dramaturg, performance maker and researcher. They hold an MLitt with distinction in Playwriting and Dramaturgy from Glasgow University. Credits include: Dramaturg with Red Women’s Theatre Award, Greenwich Theatre, London, Performing Arts Academy Scotland, Cumbernauld Theatre and Queen Margaret University. Work performed at Tron Theatre, CCA, Traverse, the James Arnott Theatre, Summerhall, Adam House and Queen Margaret University Theatre. Recently they brought their Work-in-progress version of ‘Sacramental’ to Take Me Somewhere Festival Symposium. Nelly’s work is rooted in the exploration of utopic/dystopic creative worlds as a means of imagining the possibilities of true egalitarianism. Their practise celebrates the queer and the perverse and asks how we remove ourselves from the deeply ingrained biases constructed by patriarchal and oppressive discourses, often bringing into question how we can offer new ways of resistance to these structures. Most importantly their work aims to bring into question how to explore these topics in ways that offer accessibility to anyone accessing their work and how to critically engage with and encourage a consistently wider demographic. Dee Heddon holds the James Arnott Chair of Drama at the University of Glasgow and is the founding Dean of the Scottish Graduate School for Arts & Humanities. She is the author and editor of many publications, including Autobiography and Performance (2008) and It’s All Allowed: The Performances of Adrian Howells (2016). Her most recent research has focused on walking as an art practice and she is determined to make visible women walking artists in the cultural and critical landscape. Her ongoing creative research project, a collaboration with Dr Misha Myers, is The Walking Library. This brings together books, walking, reading and environment. The Walking Library for Women Walking (2016), a collection of more than 140 donated books to be taken on walks by women, has been donated to Glasgow Women’s Library.